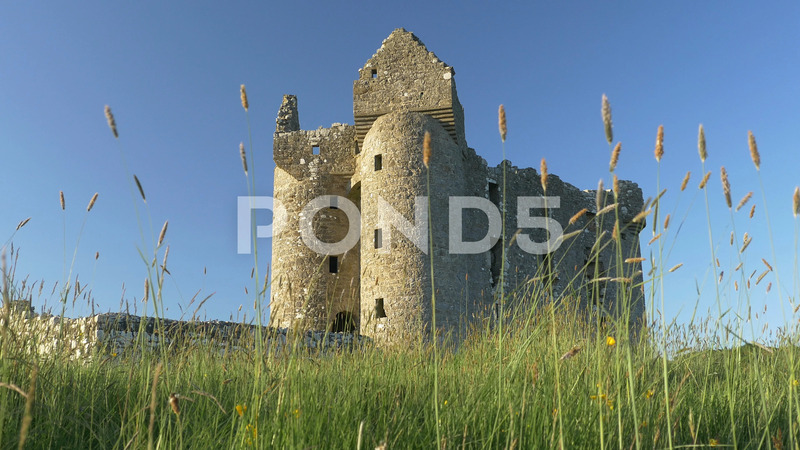 Description: Ancient castle in ruins surrounded by fresh green meadow grass. Bright sunlit stone beneath cloudless blue sky. Tilt up to lockdown shot in ProRes 422.